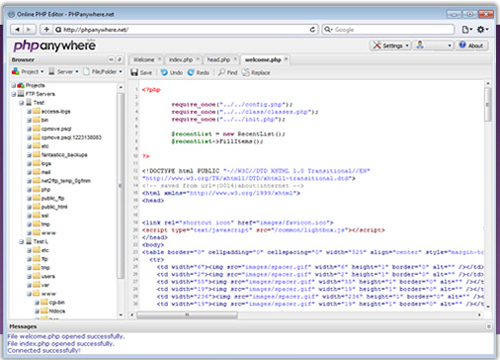 Code Directly From Your Browser with the help of PHPanywhere. PHPanywhere is a new online service that’s changing the way people develop on the web. They enable users to develop and maintain their php/html projects online using any standard web browser. This is a web based free Integrated Development Environment or IDE for the PHP language, in other words it is an application that gives developers all the code editing capabilities they need to develop PHP applications online. It includes a real-time syntax code editor with support for all web formats and a powerful FTP editor. Because it works in a browser you can start coding right away, no need for installing anything and best of all you can work from anywhere, all you need is an internet connection and a web browser and youâ€™re ready to go. You probably have some powerful IDEs such as Visual Studio or Adobe Dreamweaver installed. But what happen when you just want to edit a single line of code, or maybe you don’t need those advanced features that provided by most IDEs? So, you probably need a simple text editor like Notepad, which is installed by default on a Windows machine. But, Windows Notepad is too simple and may not enough to handle our daily programming tasks. So, if you are looking for some alternatives for Notepad, then you have come to the right place. Today, we are going to cover 10 free and powerful Windows based text editors pro developers. Notepad++ is an excellent replacement for Notepad. It has a lot of features, such as Syntax Highlighting, Syntax Folding, Auto Completion, Multi Documents tab view, Full Drag and Drop supported, Zoom in and out, Bookmark, Macro Recoding and powerful search feature. Users can have their own custom defined syntax highlighting, and this is among my most favorite feature of Notepad++. This is a fresh take on the CSS grid. It can be used to streamline page templates for content management systems, its mission is to be lightweight. 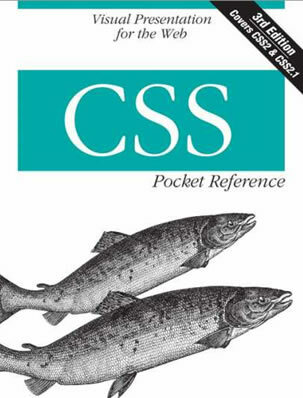 The CSS Cookbook provides more than quick code solutions to pressing problems. The explanation that accompanies each recipe enables readers to customize the formatting for their specific purposes, and shows why the solution works, so you can adapt these techniques to other situations. 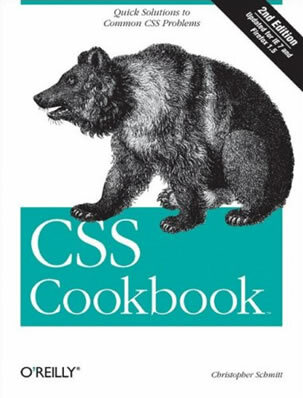 Recipes range from the basics that every web author needs to code concoctions that will take your web pages to new levels. Use persistent connections to the database to avoid connection overhead. Check all tables have PRIMARY KEYs on columns with high cardinality (many rows match the key value). Well,`gender` column has low cardinality (selectivity), unique user id column has high one and is a good candidate to become a primary key. Over the next few articles I write, I hope to delve into the depths of PHP and some of the ways it can best be utilized. To get started, we’ll begin with object oriented PHP programming. If this concept is new to you, have no fear. As long as you have an understanding of PHP in general, it is really rather simple, especially if we step through it bit by bit. Before we get too much farther, it is important to note that the code I’m going to show you won’t work in any version of PHP prior to version 5. PHP 4 is quickly being phased out as 6 is right around the corner. Smart move by the PHP authors! You’ve probably gathered that object oriented programming is, well, oriented around objects. What is an object I hear you asking? Simple. An object is a person, place, or thing… a noun. See, I told you this stuff was easy. So lets think of some things. An airplane. A car. A bank account. A shopping cart. A book. Let’s take that book example and run with it. A book, as with any other object, can have attributes. A book has a title, a set number of pages, an author, and maybe even a bookmark letting you know what page you are currently on. You can also do things with a book, such as flip to the next page, flip back a page, or maybe even skip ahead to the last page to get a sneak peak at how things will end up.